La bouchée gourmande au vrai chocolat belge. A Desobry Perle is an unique inspiration between a biscuit and a Belgian praline, with delicious dark, milk or white chocolate. The perle noire is a dessert for dark chocolate lovers. It is dark, intense and might be eaten with a coffee, a red wine or even champagne ! The perle vanille is a Belgian artwork that will be appreciated by white chocolate lovers. 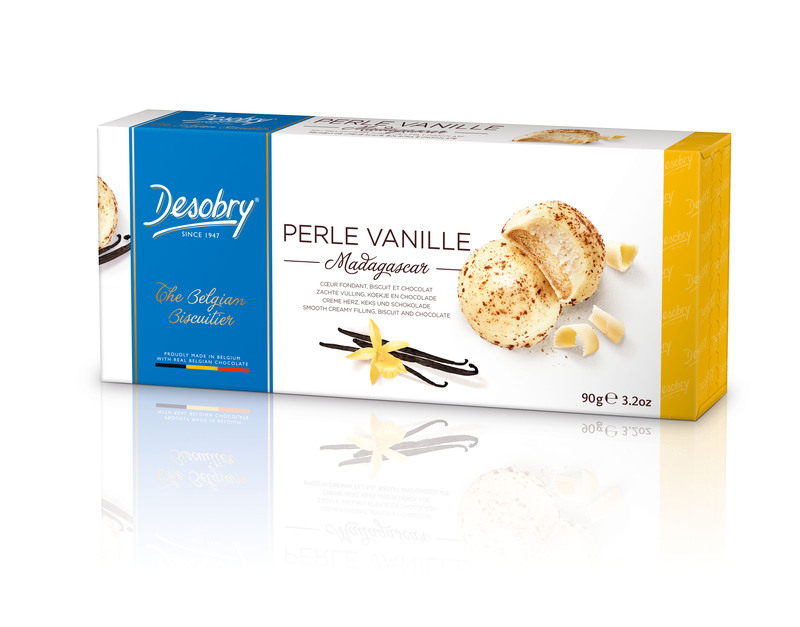 This 9 grams biscuit is composed by a thin & crunchy biscuit , a smooth cream & Belgian chocolate. 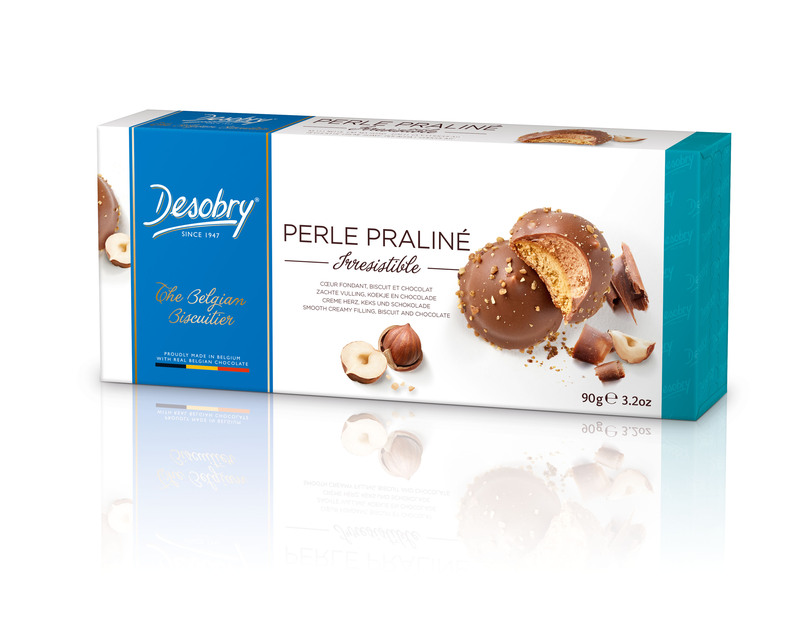 Our perle praliné is a subtle balance between roasted hazelnuts and Belgian milk chocolate. Under the delicious chocolate, you'll find a cream "praliné" laid on a thin biscuit. A 100% Belgian quality product !